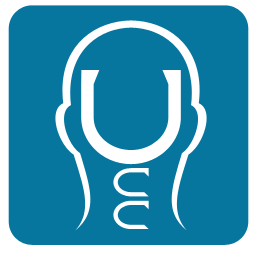 The Upper Cervical Blog: What is Upper Cervical? Seldom do we experience a single health problem. It’s usually a major problem associated with other minor problems. There is a very simple and logical reason why this happens. Visualize a lush, green and healthy vegetable garden. Suddenly some areas of the garden fail to receive adequate water. You know what happens! The vegetables will begin to wilt and in time will die if they are not getting adequate water. All areas of the garden must receive adequate water in order to stay green and healthy. This is also true of the body. All parts of the body must receive adequate brain health and healing messages in order to stay healthy. Lack of brain to body communication to some parts of the body can cause health problems to develop the same as lack of water to some areas will affect the vegetable garden. You fall and break your arm….The doctor sets the bone and puts the arm in a cast. Six to eight weeks later the cast is removed and the broken bone has healed…because the brain directed the healing process! Without brain healing messages the broken bone would never heal. Head and neck misalignment, at the point where the head and neck join, can disrupt or distort the flow of brain healing messages. When this happens, health problems can begin to develop in that part of the body not receiving adequate healing messages. 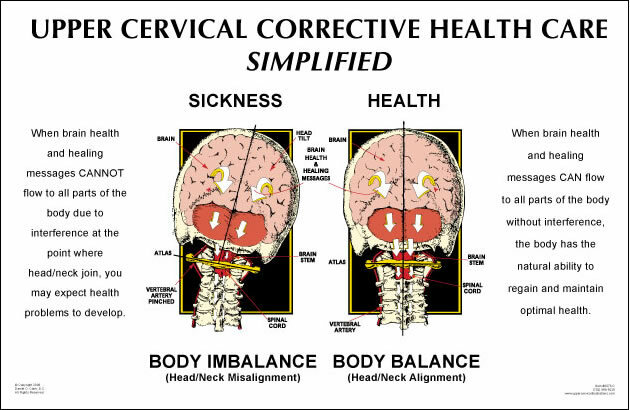 The Upper Cervical Spinal Correction is designed to correct head/neck misalignment and re-activate brain to body communication. Immediately after the correction is made, muscles may begin to relax, blood and oxygen circulation may increase, the immune system can be enhanced, brain healing messages flow to the affected area and the body’s natural self-healing process begins. Unrestricted brain to body communication will help the body maintain natural health and healing. The doctor’s primary objective is to help each patient maintain head/neck alignment to prevent any interference in brain to body communication, so they can enjoy a better quality of life.